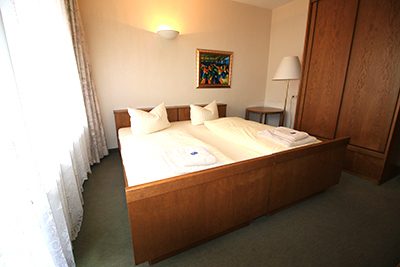 We have single rooms, double rooms and suites. Enjoy the quiet country location and beautiful surroundings. 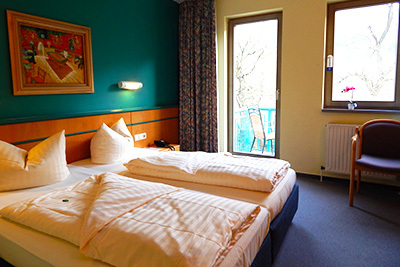 All rooms include TV, Telephone and Wlan. 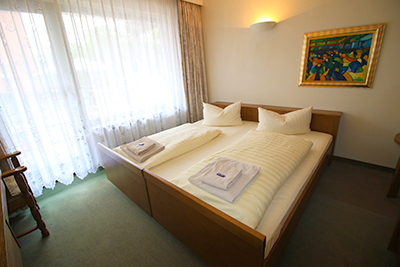 Standard room, Standard room with a balcony, Comfort room with a balcony or for a special occasion you can select a Suite. Please note that all our rooms are non-smoking.